Halloween has come and gone and fall is slowly becoming winter. For my fellow students, finales are coming in fast and I am not ready. I’m stressing hard and I’ve had a bad cold for two weeks now. I’ve been coughing so hard that my body hurts. I had to get my physio boyfriend to crack something back into place…twice! I’ve tried so many things to help and you know a hot bath was one of them! 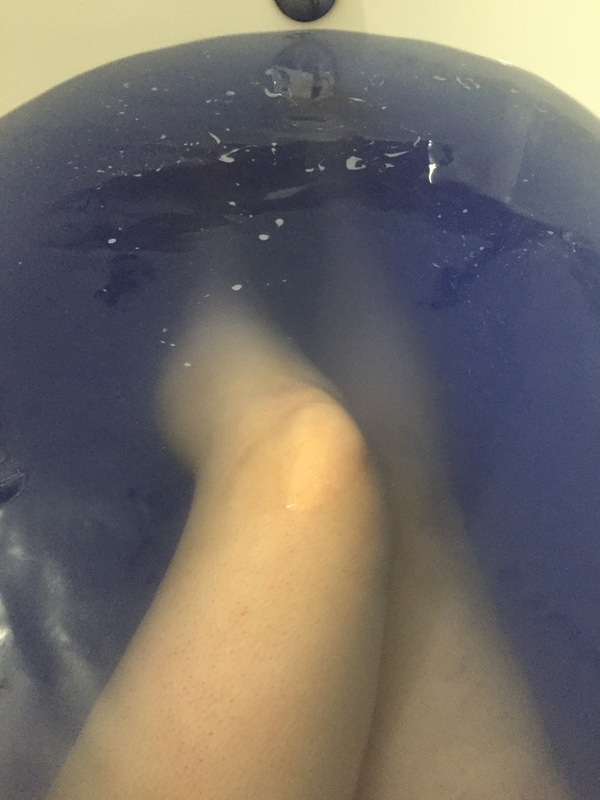 I used my Monster Ball bath bomb that I got from Lush and I loved it. It smelt kind of like the Sweet tart candies! Even my dogs were obsessed and I couldn’t get them to leave me alone. Good thing they are so cute. The smell was fantastic but so was the colour!! Blues and pinks that swirled into purples. 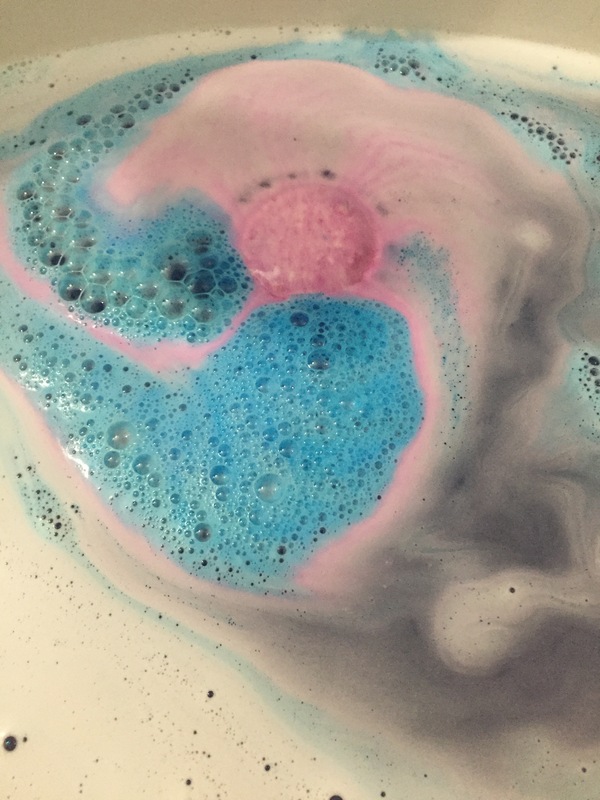 The fizz was also long lasting and this bath bomb just kept spinning in the tub. I spoke to the cashier at Lush about his bath bomb and she admitted that it was her favourite. Because it is only around for Halloween she stocks up on them before they sell out. Another employee told me that these are one of their fastest selling ones for Halloween! I see why after getting to try it. Next year (I hate that I have to wait all year for it!!!) I’ll be buying a couple of these cute little guys so I can use them after Halloween and into the winter time.. if they last that long! I can’t get over the purple colour! I also loved how moisturized my skin felt after using it. Especially with this cold weather coming in, my skin gets awfully dry. So maybe it wasn’t a cure-all for my aches and stress but it was definitely a help at least. I recommend trying this guy out if you can manage to get your hands on him! 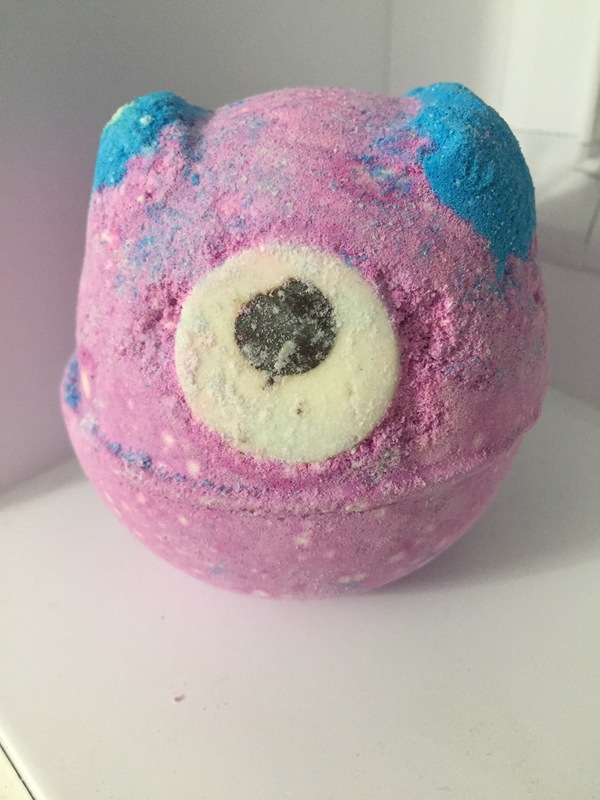 Any bath bomb recommendations? Or any reviews you guys want to see? Let me know! 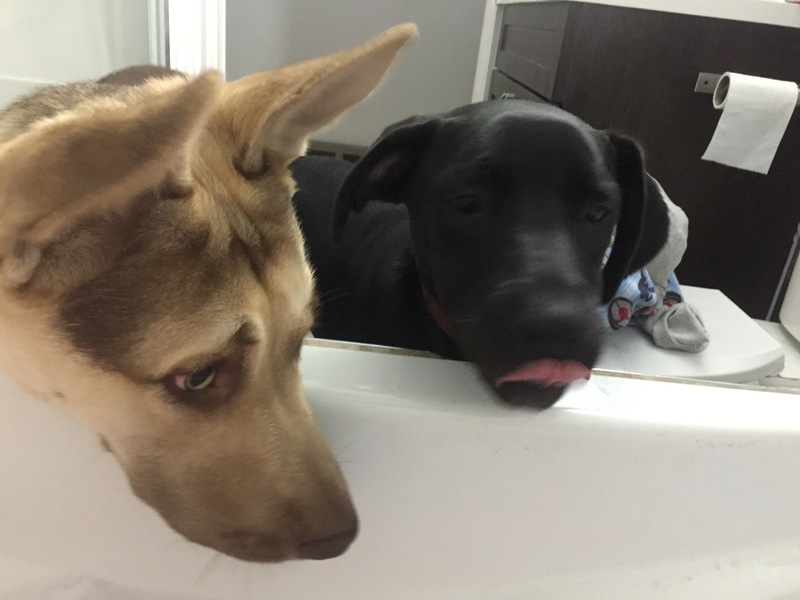 Your dogs are so cute! Are they coming with you when you move? Thank you! Julie is the one moving to a new house though (there are three of us that write here). They live at my boyfriend’s house where I spend most of my time but I’m not 100% moved in just yet! Oh MY GAWD! I only thought that there was 1 of you! lol. My mind is blown. Are you all friends or related or….? Hahaha that’s okay! We aren’t related but we’ve known each other for.. almost our whole lives! Our families all grew up together too.